Guillermo del Toro’s 2 Hellboy films were fantasy fill adventures with a strong likable star at it’s center. It’s a shame that he never got to finish off his trilogy properly and thus resulting in this loud and unnecessary reboot. It’s hard to figure out exactly who deserves most of the blame since there are talented people all around. Neil Marshall is an under appreciated director who has direct some wonderful films in his time. Here much of his style is missing, outside for a few impressive action sequences, replaced by a hodgepodge of scenes that rarely flow together as a cohesive whole. It makes for an odd movie watching experience since the story never really flows together leaving the plot more convoluted than it needed to be. 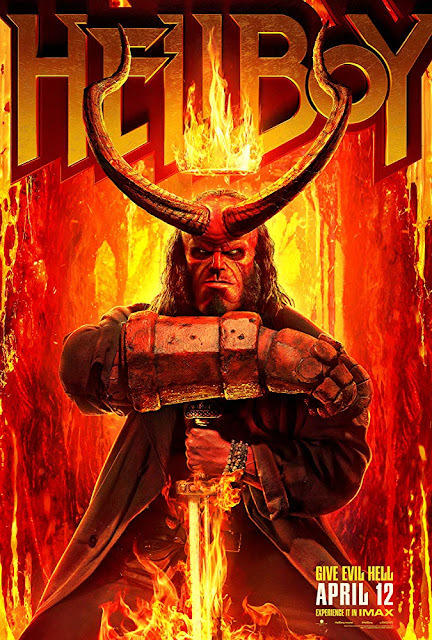 David Harbour takes over as Hellboy and he’s solid if underwhelming throughout. He lacks the natural charisma and presence of Ron Perlman’s version, as such the whole film is far less interesting. The supporting cast fares slightly better with Daniel Dae Kim and Sasha Lane faring the best overall. Still, it’s hard to watch this lackluster, soulless reboot and not wonder what Del Toro’s film would have looked like.